Dewey, Ballantine has about 550 lawyers; Orrick, about 900. ..like many relationships that end badly, each side thinks it’s all the other’s fault. Dewey is old school, led by chairman Morton Pierce, an attorney first and manager second. Last year, he billed 3,300 hours; in his “spare” time he managed the firm. “Management is not my passion,” he admits. Orrick chairman Ralph Baxter Jr., meanwhile, is a more modern, CEO-type leader; he doesn’t practice law, spending all of his time meeting recruits and clients and jetting to the firm’s offices around the world. The issue isn’t integrity of billings—it’s seriousness of leadership. The narrowest definition of management in the law business includes checking timesheets, hiring and firing based on numbers, and hosting a few annual events. It doesn’t involve articulating a market position 5 years hence, not to mention how to get there, how to align an organization, or how to develop human beings. Mr. Pierce is not alone. Among the professions, law is—in general, by and large—the most anarchically managed. To be fair, this is partly an outgrowth of the nature of the business itself. But industry is not destiny. Larry Bodine notes that 5 law firms made the “best places to work in the US,” including one at #16. 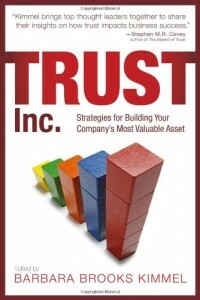 In Canada, a law firm is #4 (see this post on Trust and Law Firms). Leadership is a prime suspect in this aberrant behavior. The belief that widget-making is the best qualification for leading widget-makers is alive and well in the law business (I like to think Nebraska evolved). It’s a belief that implies surgeons, architects, financial planners, accountants and actuaries are all equal in their leadership capabilities. It also belies a belief about leadership that there is no ‘there’ there. Which firm’s leadership model would you trust over the next 10 years?